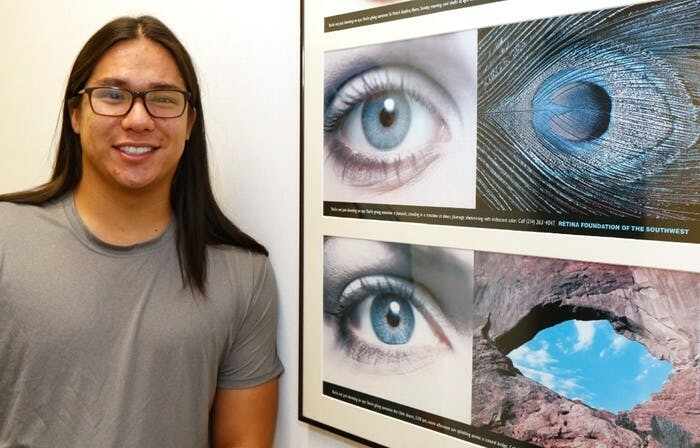 Mason Two Crow, 22, first came to the Retina Foundation in 2003 with a diagnosis of X-linked retinoschisis, a rare genetic condition affecting the retina. Two years ago he came in for a follow-up appointment where he learned that he had the opportunity to be one of the very first to ever be enrolled in a gene therapy trial for his rare eye disease. Mason gives credit to the research scientists at the Retina Foundation for gifting him with the hope that a cure for X-linked retinoschisis may be on the horizon. Click here to read more of Mason’s incredible story on www.dallasnews.com.